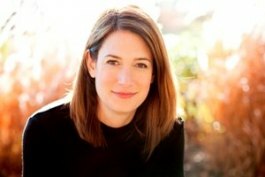 The announcement that Gillian Flynn had been declared Specsavers International author of the Year last week was only the latest accolade awarded to her. Flynn is an American author and former television critic for Entertainment Weekly. As of 2012, she has published three novels: Sharp Objects, Dark Places and Gone Girl. Her first two sold pretty well but not spectacularly and she really hit her stride with Gone Girl. Now published in 28 countries and with over two million copies sold worldwide, one million of them in the UK, it's fair to say that the continuing success of the book has surprised everyone, but it has a wide appeal to young and old, male and female. But Flynn herself seems so wholesome. Maybe we expect our crime writers to have a dark streak? Gone Girl is utterly riveting to read, with alternating chapters from the husband Nick's account of what happened after this wife's disappearance (was it an abduction or her intentional plan to vanish?) and, going back, from her diary in the weeks leading up to the disappearance. Both characters are clever, manipulative and come over as unreliable narrators, so the reader is compelled to read on to find out what happens. It is this intense suspense which is the hallmark of the book and the ability to write so compellingly will no doubt propel Flynn on to a long and successful career. Film rights are already sold and Flynn herself will work on the screenplay. For me, suspense is always harder and better than going for the quick, outright scare. What's scary is that psychological mind-place: not the serial killer roaming around outside, but that sense of not quite being comfortable in your own skin - of being in your own home but not being quite safe, and not being entirely able to figure out why you feel that way." Our last two Success Stories: Christopher Paolini and Darren Shan.